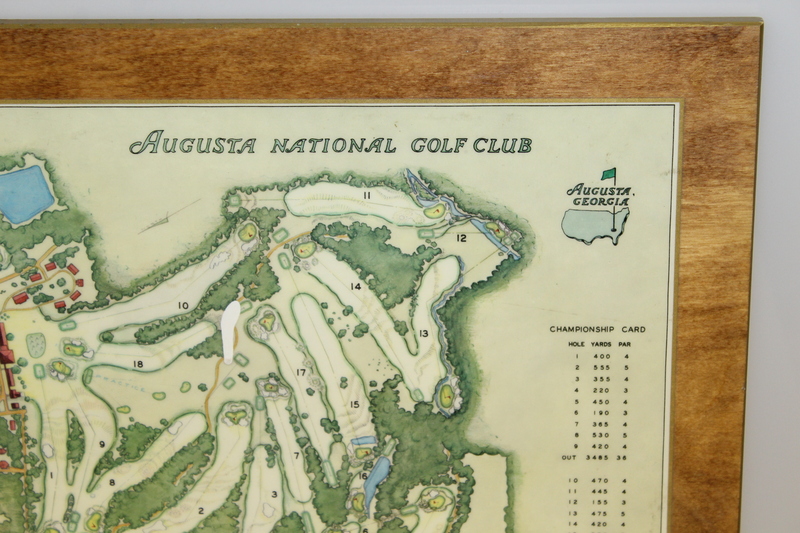 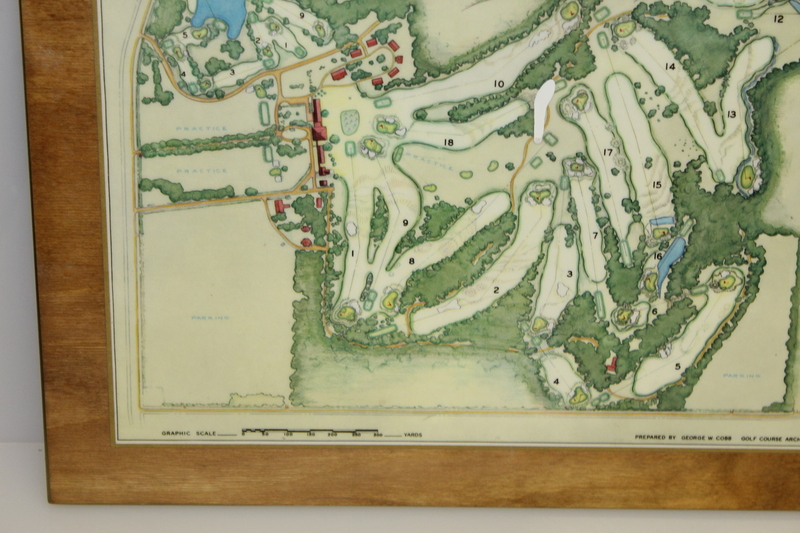 Here we have Don Cherry's personal George Cobb 1968 Augusta National aerial view wood plaque. 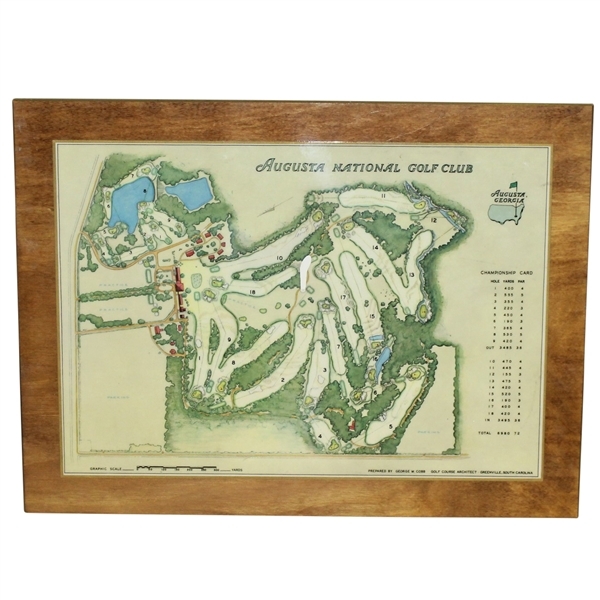 It comes in great condition, showing a paint spot near the center, please see photos. 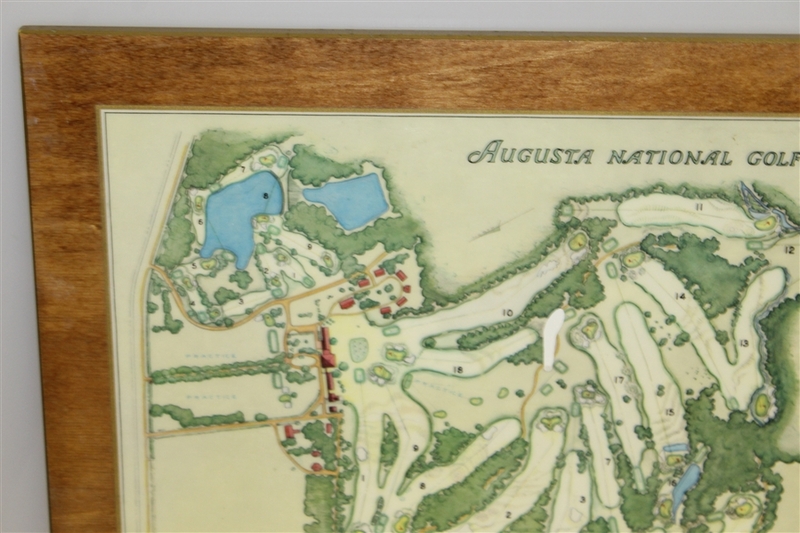 The Augusta National Golf Club course is laid out to scale in the depiction. 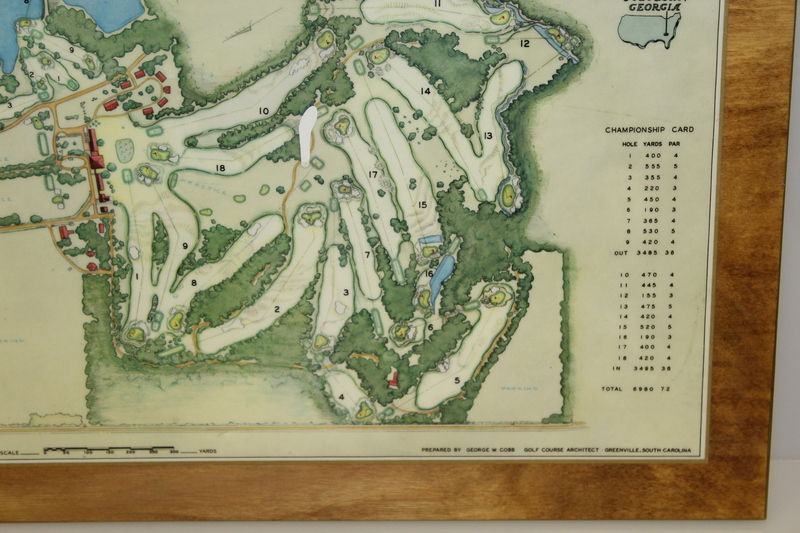 Don Cherry played in the Masters Tournament 9 times, making the cut 7 of those attempts. His best finish was tied for 25th place in 1959. 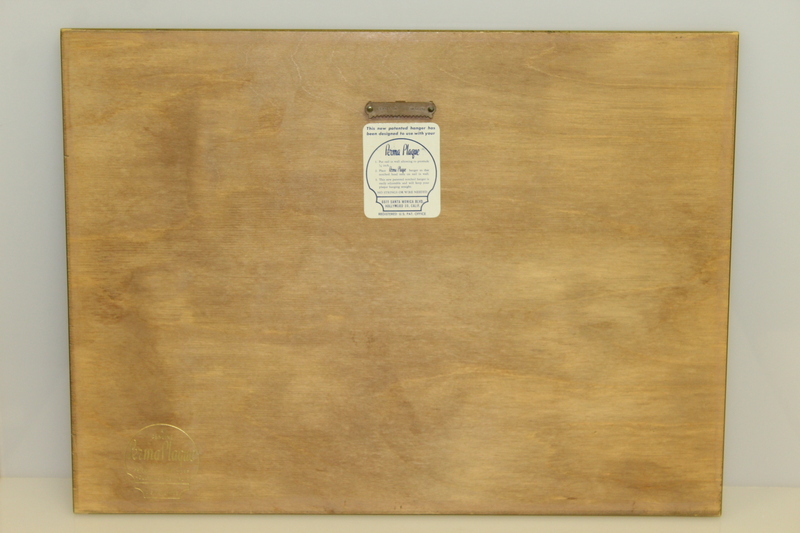 13 1/8" x 17 5/8"